Alter The Press! 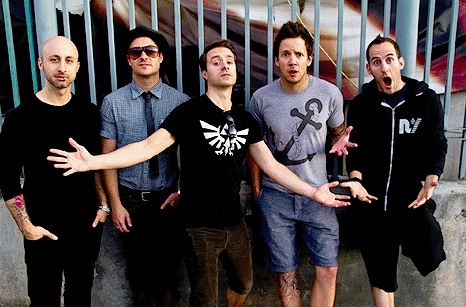 : Simple Plan Release Teaser of New Song "The Rest Of Us"
Simple Plan Release Teaser of New Song "The Rest Of Us"
Simple Plan premiered a teaser clip of a brand new song titled "The Rest Of Us" today (November 11th) on the Canadian morning TV show Ca Commence Bien. So what are you waiting for? You can listen to the clip below. The track is taken from the band's upcoming (currently untitled) EP, that is expected to drop later this year.